Before the product planners at Toyota decided they wanted to chase the lowest common denominator point-A to point-B buyer for maximum market share at any cost, they actually built some interesting, decent looking and fun to drive vehicles. The first generation Toyota Celica is a perfect example, with styling reminiscent of 60s/70s American cars and a small 4-cylinder engine that powered the right wheels. 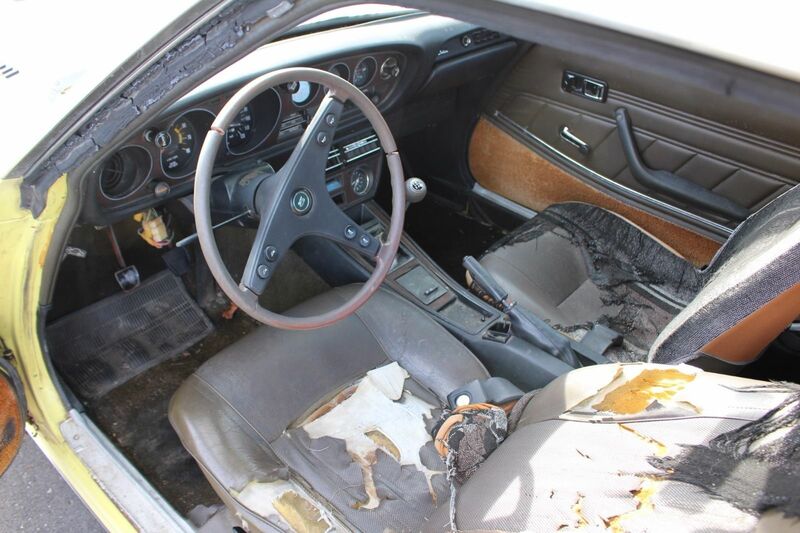 Find this 1974 Toyota Celica ST 4-speed here on eBay bidding for $1,225 with 5 days to go, located in Napa, CA. 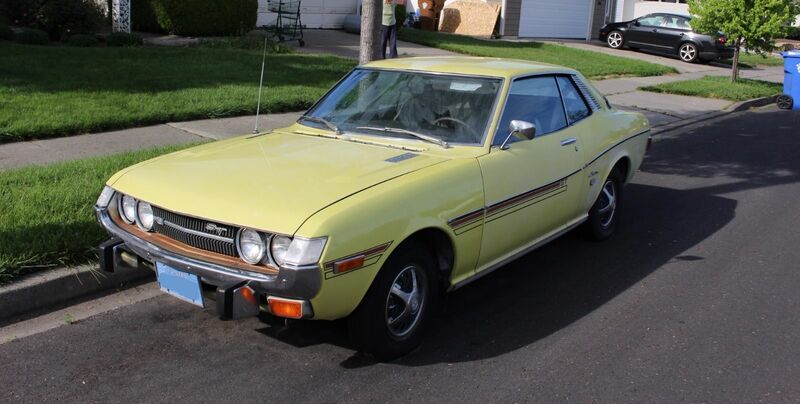 The first generation Celica hit the US showrooms in 1971 as a Japanese equivalent to the pony car, with just a step down in sporty character from a Datsun 240Z (two fewer cylinders). 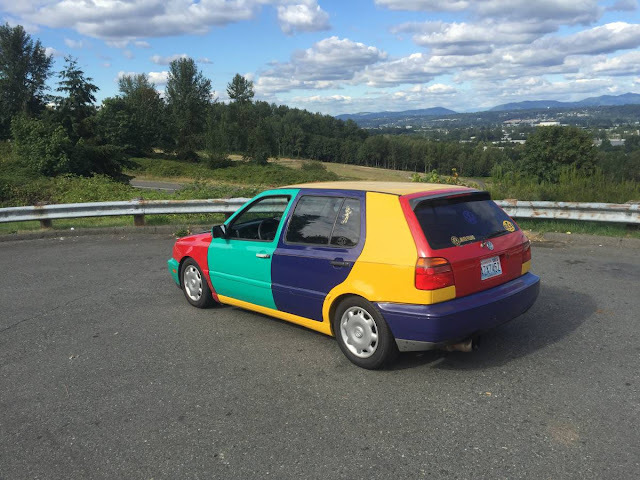 Behind the driver is a small back seat. The Celica was conceived with an emphasis on fuel economy instead of outright performance, but you got build quality that far exceeded most domestic competitors when new. 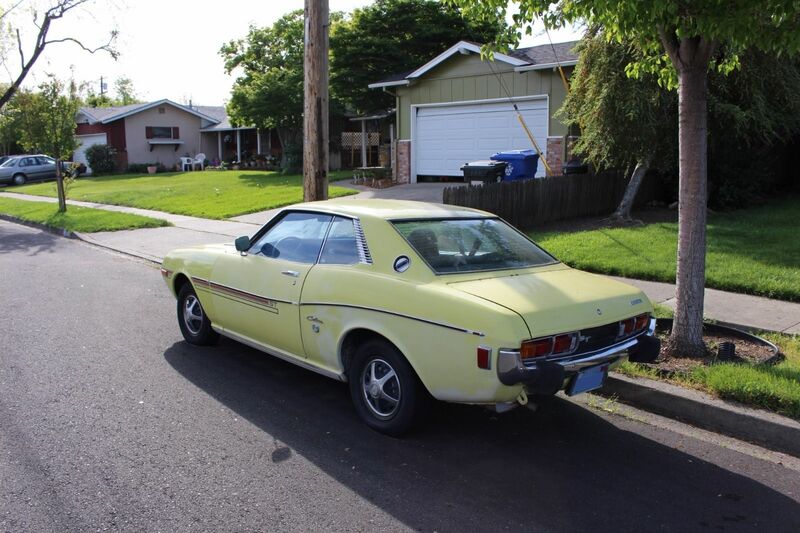 This Celica is offered by the seller who writes: I am posting this car for my neighbor who is the original owner. She is getting older now and needs and automatic car to get around town. Wow, a little old lady owned 70s classic -- you don't see those every day! Unfortunately, this isn't one of those little old ladies who kept everything in perfect shape -- and the car will need some reconditioning before you take it and win any awards at the next Japanese nostalgic car show. DT said: "...a small 4-cylinder engine that powered the right wheels"
What did they use to power the left wheels? Wow, looks like a family of raccoons was living in it. Fred was warned by his gastroentarologist to stay away from freaking Taco Bell! The little old lady story seems dubious. The little old ladies I know wouldn't stand for that condition. This looks more like a "barn find" except without the barn part. I wonder how many times that odo has clicked over. No much rust shown in the pictures. It'd be nice to see where that accident damage rusted. This is going to go closer to $10k that $1k. The early Celica's are interesting, but can't shake that "secretary car" image to be taken seriously by the performance and classic car community. Like the Datsun B210, this was the quintessential "chick car" of the 70's.